The best way to discover the way art can transform your coaching practice is to experience it for yourself and try it out. To support coaches in developing an art-based approach I have put together a programme of support that you can tailor to your needs. This programme consists of workshops, supervision and one to one support, and has evolved as my own learning, experience and practice has grown. The aim is to share my practice with you so you can shape your own art-based practice. Please contact me for more information on the whole programme. 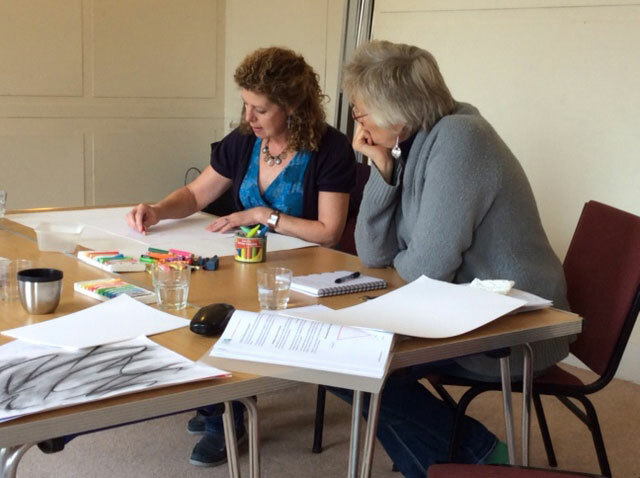 You can start with the foundation one day Introduction to Art in Coaching and, then after some experience, follow-up with the two day in depth Art in Coaching – Developing Your Practice workshop. In addition, I run a Draw Yourself Calm day which brings together drawing and the principles of mindfulness. Mindfulness is one of the key ways of imaging when using art in coaching. This is a great introduction to the principles of mindfulness as well as an opportunity to explore and value your own creativity. Another essential for coaches who want to work with art. The workshops are relaxed and fun with the emphasis on personal experience. 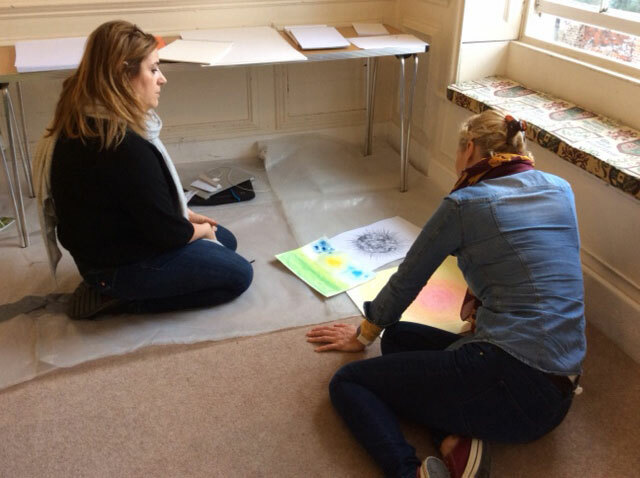 They are highly experiential as well as reflective, enabling you to try things out in a safe and supportive space, discovering for yourself how to include, use and work with art in coaching. You don’t have to consider yourself creative to come along, just bring an open mind and a willingness to try things out. Please note that these workshops assume coaching experience and are bringing something new to your practice. They don’t cover the general principles and practices of coaching. ‘I am a very ‘corporate’ coach and had some scepticism about how this might work for me. I am also the least artistic person that I know! However, Anna structured the day to move us from being wary of the materials in the room to being able to use them in a very expressive way. Specifically, Anna explained the underlying psychology of how art can work in coaching as well as how to work with clients in order for them to produce the most useful art. 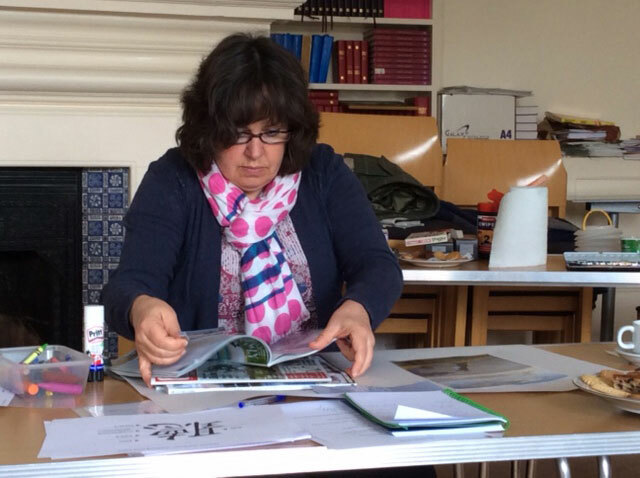 Anna has become an expert in this field and as such was able to teach us how to introduce art materials with the same rigour as one would use a psychometric test, using appropriate contracting, boundaries and professional standards. In addition to the workshops, I also offer supervision and ongoing 1:1 support to help you develop and grow your practice. Both the foundation day and the more in-depth two day workshop include a follow-up 1:1 session with me. This is an opportunity to reflect on your learning and practice and additional supervision and one to one support sessions can also be arranged to support you in your practice. Another way to fully experience Art in Coaching is to be coached. If this interests you then please do get in touch. 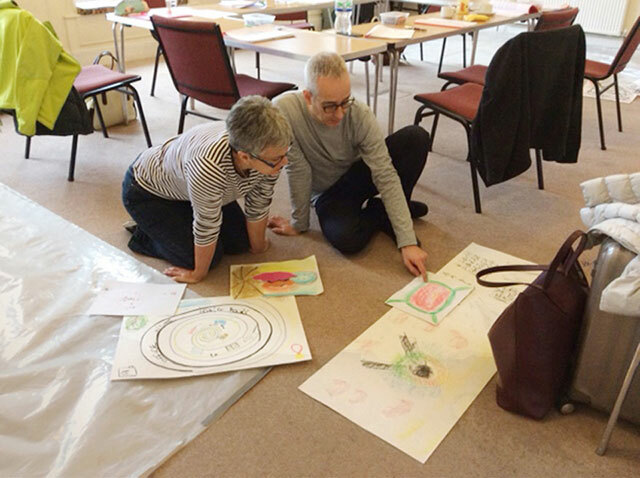 Once you have attended the workshop(s) you can come along to a Practitioner Day which is for any coach who has been on a workshop and is, or wants, to develop art based approaches as part of their coaching practice. It is an opportunity to come together, share and learn from each other, reconnect, practice and, as one coach put it, to get messy again!